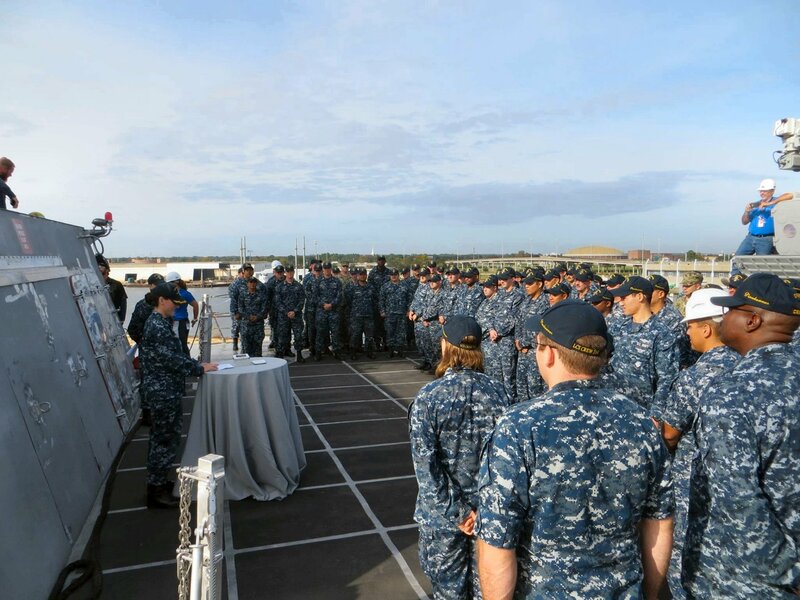 "Manchester, The Ship" - "Manchester, The People"
433k 20 October 2017: Mobile, Ala. - The crew of Pre-Commissioning Unit (PCU) Manchester (LCS 14), conducts a mast-stepping ceremony. PCU Manchester is currently undergoing the final stages of production in the Austal USA shipyard of Mobile, Alabama. LCS vessels are high-speed, agile, shallow draft, mission-focused surface combatants designed for operations in the littoral environment, yet fully capable of open ocean operations. As part of the surface fleet, LCS has the ability to counter and outpace evolving threats independently or within a network of surface combatants. 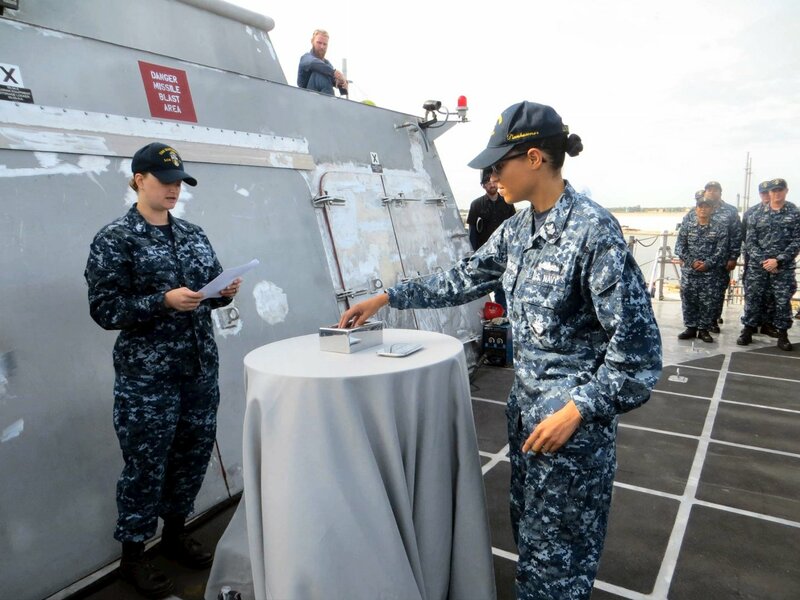 239k 20 October 2017: Mobile, Ala. - A sailor assigned to the Pre-Commissioning Unit Manchester (LCS 14), places an item into the ceremonial box during a mast-stepping ceremony. PCU Manchester is currently undergoing the final stages of production in the Austal USA shipyard of Mobile, Alabama. 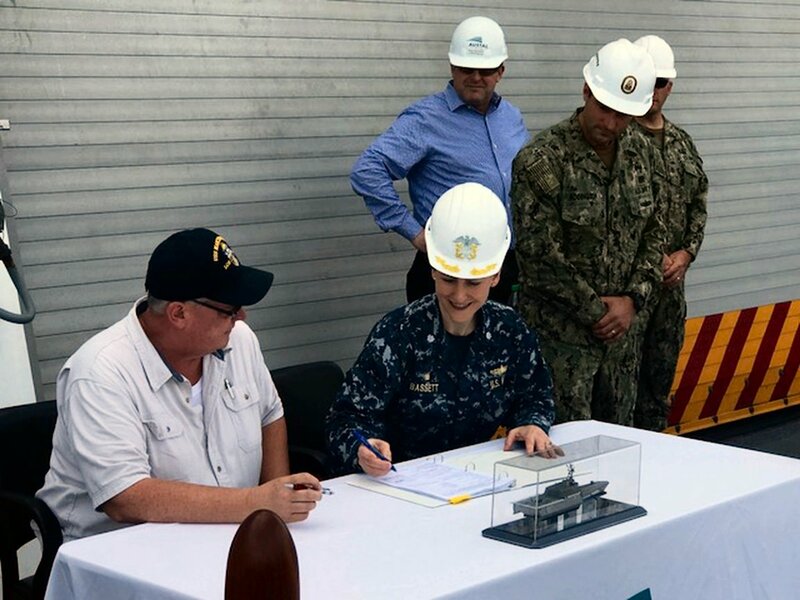 156k 28 February 2018: Mobile, Ala. - Commander Emily K. Bassett signs the documents accepting delivery of the future USS Manchester, transferring ownership of the vessel from Austal USA to the U.S. Navy. 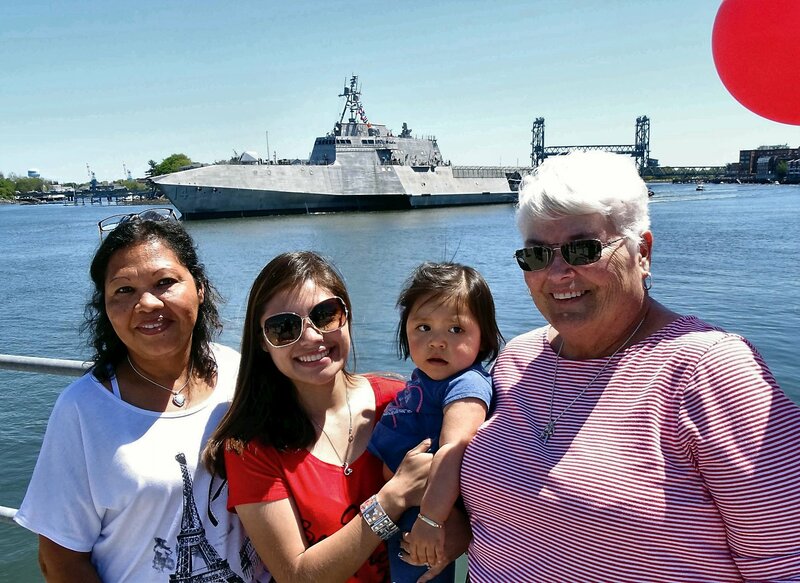 414k 21 May 2018: Portsmouth, N.H. - Josefa Quiroz, Lorena Quiroz, 14-month-old Jade Quiroz and Debbie Sims wait for crew member Oscar Quiroz to disembark from the future USS Manchester in Portsmouth. completed its first transit to her new home port as a newly-commissioned vessel. 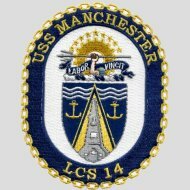 Manchester is the ninth LCS to be homeported at Naval Base San Diego. 1.) 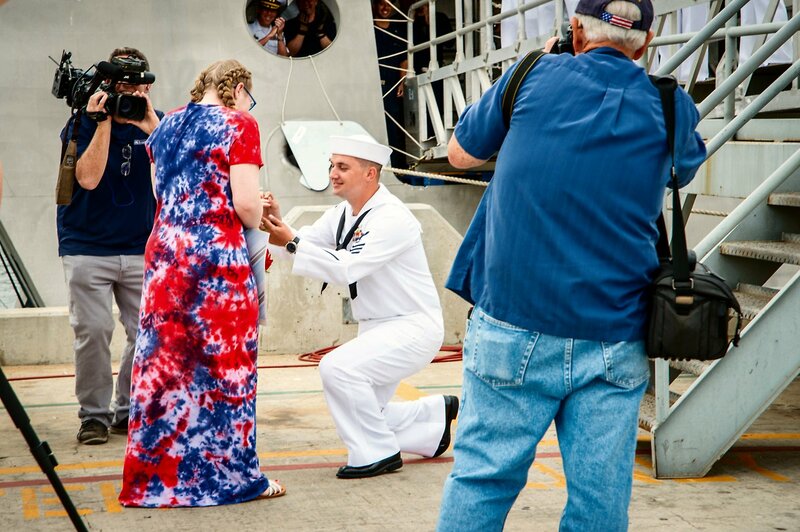 Mineman 1st Class Donavan Page proposes to his girlfriend during the homecoming celebration. 2.) 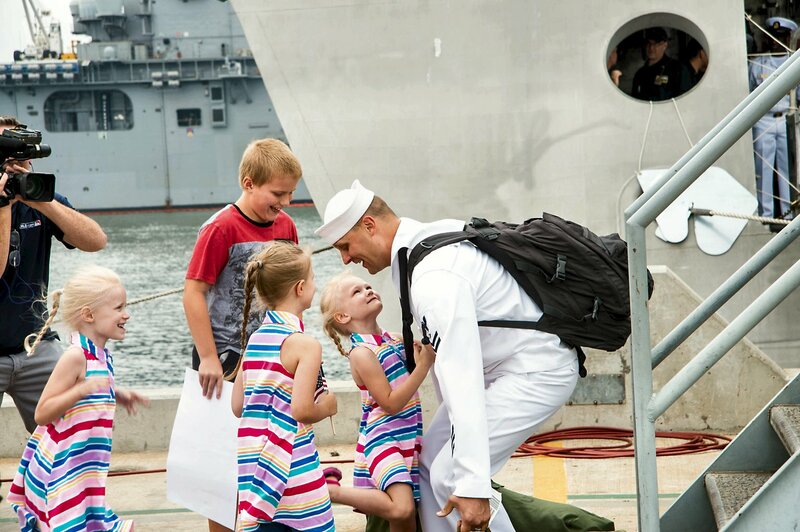 Fire Controlman 1st Richard Morris is greeted by family members during the homecoming celebration. 3.) 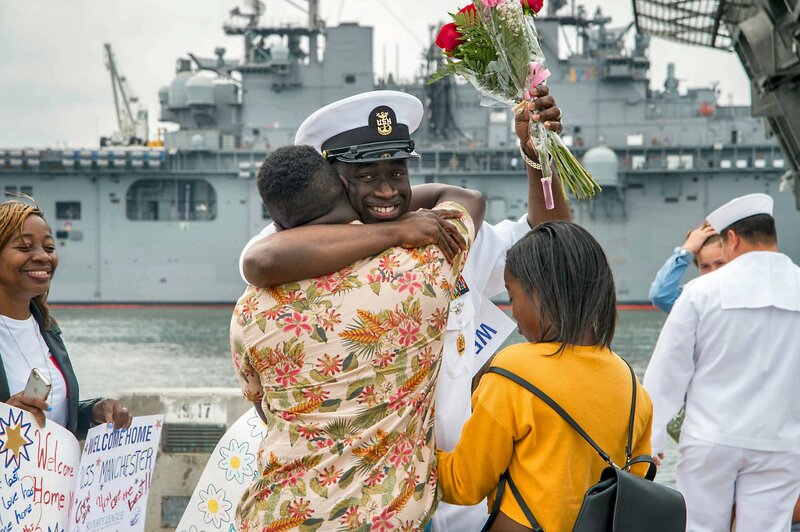 Command Master Chief Sevorn Bascom is greeted by family members during the homecoming celebration. 4.) 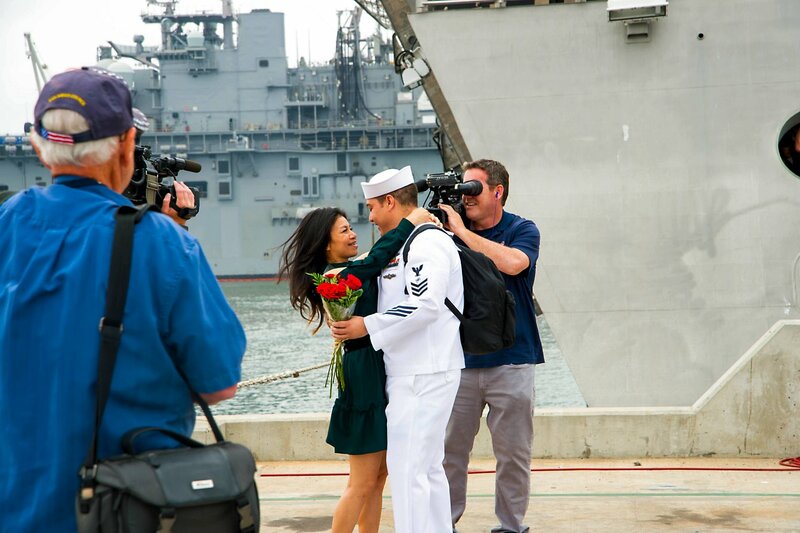 Electronics Technician 1st Class Jeffery Turjillo receives the first welcome home kiss during a the celebration.